How can I change the page size? When Genius Scan scans a document, it doesn't know the physical size of the document. 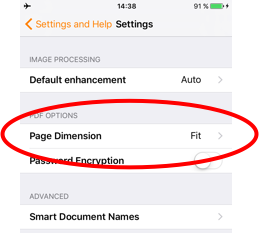 If you need to print the documents to their real size, you need to specify how large the pages are. 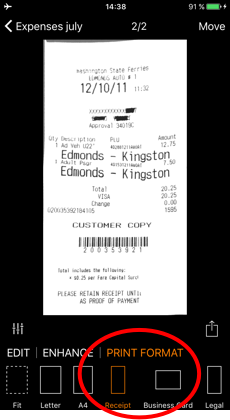 Scan a document or open a specific scan. 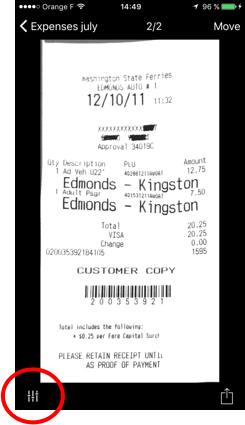 Receipt Width of 9cm (3.54 inches), height adapted to scan's aspect ratio. Fit to image Width of 210mm (8.27 inches), height adapted to scan's aspect ratio. 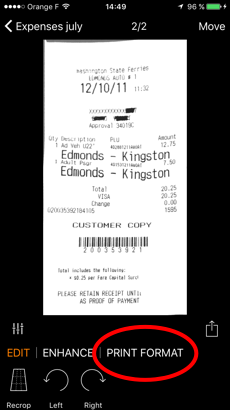 What is the DPI of my scans?